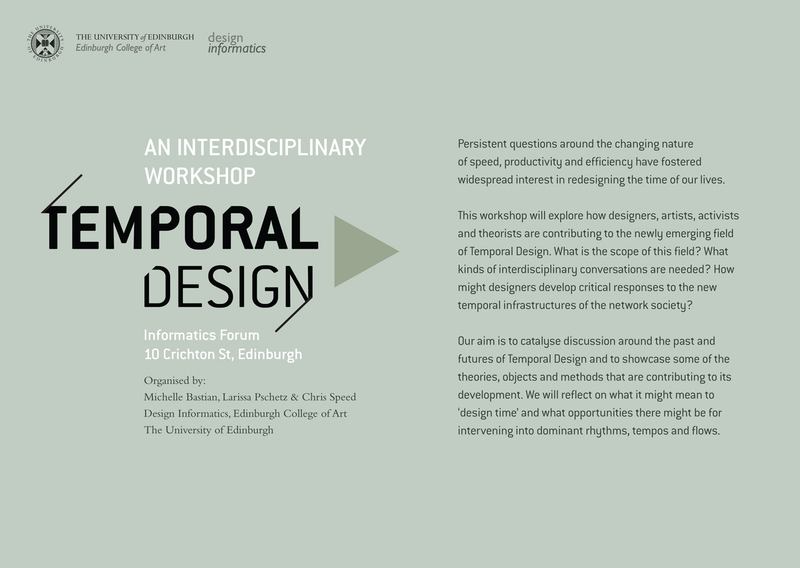 Michelle Bastian, Chris Speed and I organised two editions of the Temporal Design Workshop. 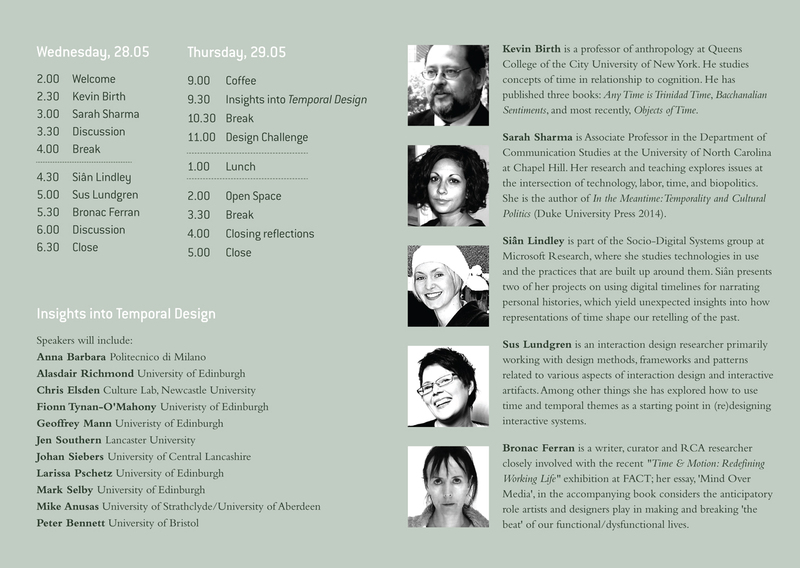 The first in 2014 attempted discussed what it means to “design time”. 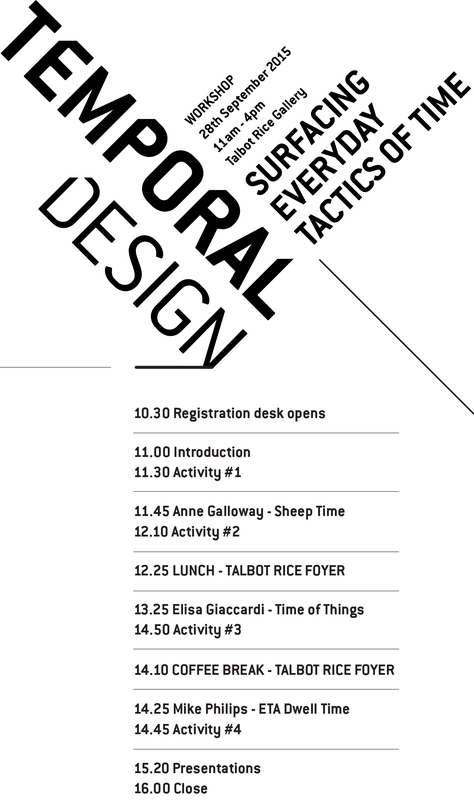 The second in 2015 focused on everyday tactics of time.